My goodness we are in December – can you believe it!?! Where has the year gone? I have almost – almost – not quite – but almost finished my Christmas shopping! As we have a few parcels to send overseas, I have to be organised – although wrapping – THIS – I am not a fan of! It began with a roller coaster of a ride for me. In December last year I started to feel unwell, but it wasn’t anything specific, not something I could quite put my finger on. Christmas was a wash out as I felt awful – I became quite sick. I was taken into hospital at the out of hours, got home BUT then the next day I was taken in to hospital again, admitted straight from the medical centre. I was showing a whole host of weird and wonderful ailments, but nothing they could put their finger on either. It was all very weird. I had heaps of tests and – NOTHING. 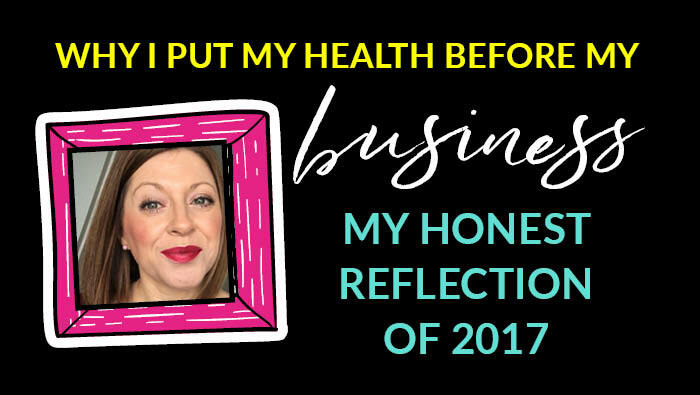 I couldn’t keep the pace up of my business, as well as be a good wife and mum AND stay healthy – it was all pressure I had put on myself. No one else. Just me. So I adjusted a few things in my life this year which has made a big difference in my business. It was all simple stuff too. Looking after myself. No work at the weekends. Eating better. No working nights. Taking a few vitamins. AND the biggest thing – no setting unrealistic goals for my business. Taking my foot off the accelerator for me has been a bit of a change for me. When I was feeling rubbish none of the usual meditation, mind-set, reading stuff worked. It was actual physical stuff I had to change. It took a while for me to feel better – it didn’t just happen overnight and even this summer I was still on a bit of a roller coaster. BUT, you’ll be pleased to know that as I sit here now at my desk this fine gorgeous sunny day in Scotland, I have not felt this great for ages. I actually feel like a fog has lifted, gone, disappeared and the old Vicki is back. My whole energy has changed. My family have noticed too. Vicki is BACK! I even managed to have 18 days in New Zealand this year too, spending time doing nothing and everything – exploring, family time and spent some amazing time with my sister and her boyfriend, who now live there. I’m writing this as a bit of a reminder to you, because I know for a fact that if you are building your business and brand right now, you might also be working full-time, as well as night working. You might be in launch mode or just totally stacked out with work and just feel a little off your game. This is for you. It’s a wake up to let you know that, YES, it is normal to feel tired as you build a business, BUT, not at the risk of damaging your own health and well-being. My one big take away from building my own personal brand – I can do this but I don’t need to do it all NOW! So, remember as you build your brand, it’s ok to be busy, but take time out, take time to take stock, take time to do fun stuff and take the time to be inspired – cause your creativity will disappear if you never take your foot off the gas. Creativity and ideas are the two things that will keep your business inspired and fresh. But without essential time off – the ideas won’t flow. I know this – I am proof of this! Since I’ve started to feel better, I no longer recognise the girl in my journal – the crappy negativity has gone and I am not stuck – I have filled pages and pages of ideas and in the last couple of weeks I launched my Creative Market shop too – something I have had in my ideas book since summer of 2016! The best part is that it’s already started to make me some pennies too. When I got my first sale – I had never been so excited – I danced! Like really danced and called my hubby – he is my go-to celebration buddy! Not only that, but this year I also launched two online courses too, which I never thought I would ever launch! My new fresh approach to my lifestyle has allowed me the time to create – and quite naturally too. So, as I sign off, it’s been a bit of a “lay-it-all-on-the-table” and open blog but just so you know – you can’t do it all yourself – and you don’t have too. Take care, look after yourself and build your brand with ease, flow and balance – not force and rocket fuelled momentum. 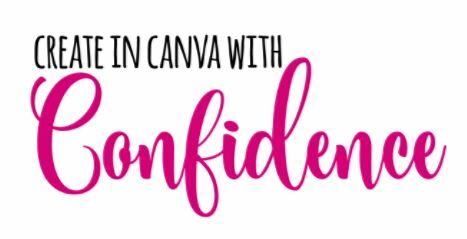 If you’re stressed out because you don’t have the budget to work with a professional Graphic Designer then you’ll love Beautiful Brand Bootcamp!